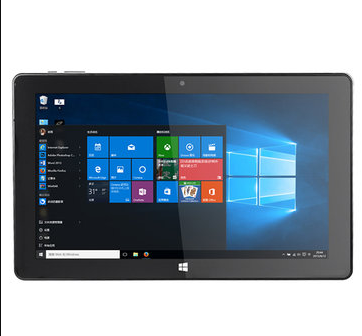 The Jumper EZPad 6S Pro Tablet PC comes with an 11.6-inch display which is wide enough to be used comfortably as a tablet as well as a laptop. 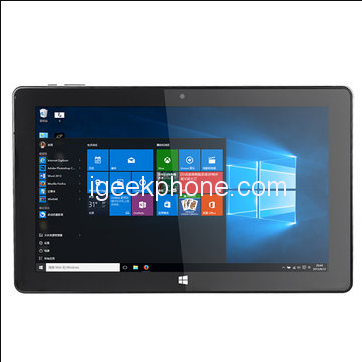 It features a Windows touch button on the bezel below the display which makes it easy to launch the Windows Home. Its IPS display technology gives you wide viewing angles and Full HD (1920 x 1080 ) pixel resolution offers some quality color reproduction. Multi-tasking is efficient on the EZPad 6S Pro with 6GB of DDR3 RAM, and a Quad core Apollo Lake N3450 processor. Power consumption is reduced with a low-voltage platform and its graphics are rendered by an Intel HD Graphics 500 GPU. There is enough space onboard to install apps and store files as the Jumper EZPad 6S Pro comes with 128GB of eMMC ROM, and in case that’s not enough, you can expand the storage up to 128GB with an external microSD card. Most manufacturers do not bother to include cameras on their tablet PCs these days, but Jumper has bundled the EZPad 6S Pro along with a 2MP camera at the front, useful for taking selfies and engaging in video chats. The device comes with many connection ports and interfaces like a micro-USB port for charging and wired data transfer, a micro-HDMI port for streaming, a USB Type-C port, a USB 3.0 port, and a DC-IN port. The device is built for work purposes, so it makes sense that it runs the Windows 10 Home 64-bit Operating System out of the box. With this, you get features like the Cortana digital assistant, amongst many others. The device is powered by an amazing 9000mAh big battery.